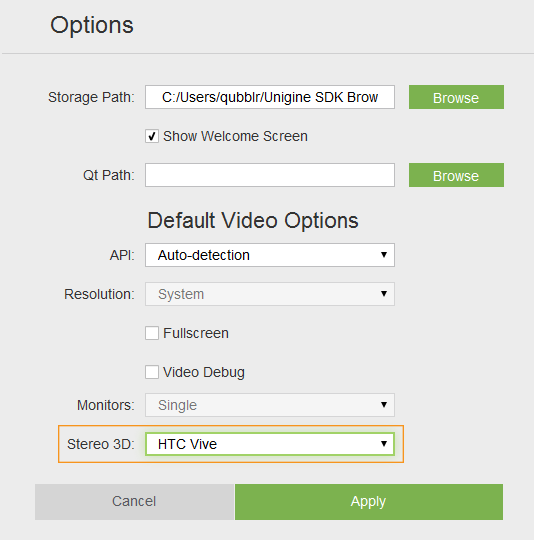 The AppVive plugin is used to support both the HTC Vive and the HTC Vive Pro head-mounted displays. It is supposed that you already have an HTC Vive/Vive Pro HMD installed. SteamVR will be set automatically on the HTC Vive (HTC Vive Pro HMD) installation. All UNIGINE projects supporting SteamVR are compatible with both HTC Vive and HTC Vive Pro. 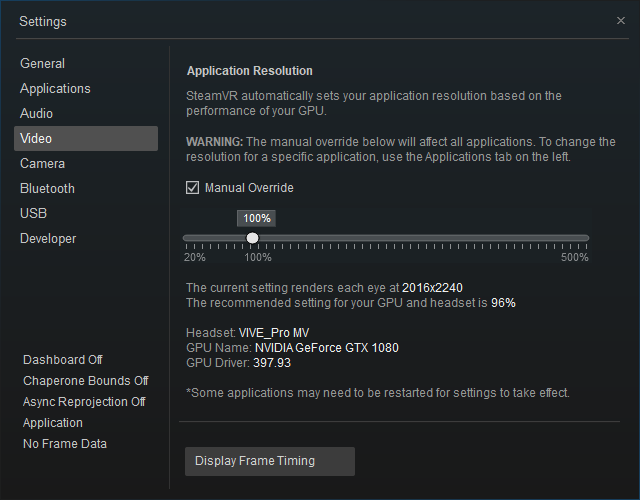 However, please note that Vive Pro has a higher display resolution, and although no modifications are required, it is recommended to check your project's performance and optimize it accordingly. Create a new project with AppVive support via UNIGINE SDK Browser: click Plugins, check the HTC Vive support (AppVive plugin) option in the form that opens and clickOk. 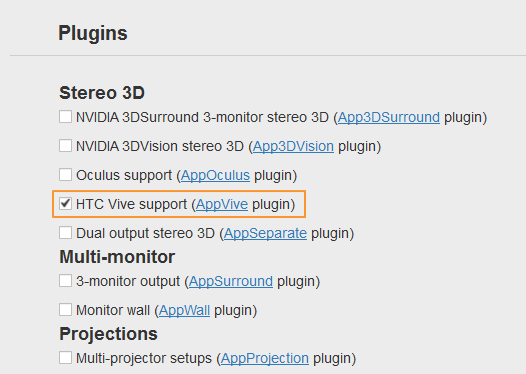 To add Vive support to an existing project, in UNIGINE SDK Browser, click Other Actions ->Configure Project -> Plugins -> HTC Vive support (AppVive plugin) -> Ok.
vive_render_width and vive_render_height - set a resolution for each eye. 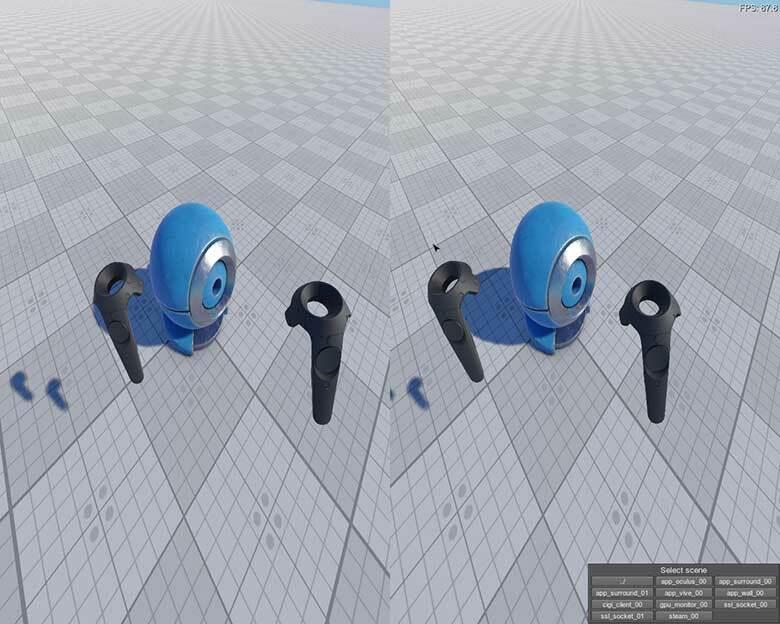 The default resolution for one eye is set equal to recommended value by SteamVR. The actual AppVive plugin is compiled using the OpenVR SDK 1.0.15.